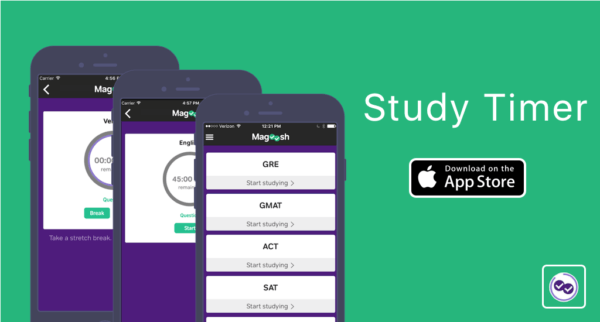 Introducing the Magoosh Study Timer: a test prep stopwatch app by Magoosh. As a Product Manager for both high school and graduate school apps, I’ve talked with over 200 Magoosh students who are studying through our product. In almost every conversation, students talk about one challenge in particular: Time Management. It is no secret that students have a lot to do besides study. They are already in school, or at jobs, and so it is challenging to make time for studying. 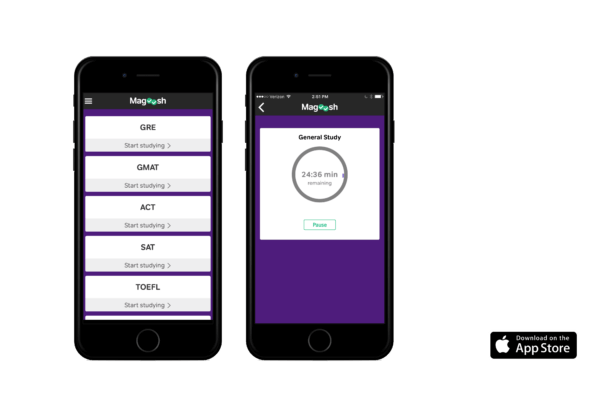 Magoosh has amazing content that will improve your test score, but in order for it to be effective, you have to carve out the time and stay dedicated and motivated to do so. Pomodoro is productivity technique that has been around for decades. It was invented by an Italian student who used a tomato shaped kitchen timer to time himself in 25-minute increments as he studied. (The name is actually a derivative of tomato.) In the past few years, several apps have come to market capitalizing on this technique by enabling the user to set 25-minute segments of time, and then encouraging them to take a break afterwards. I started using a Pomodoro style app called Tide a few months ago and fell in love. It was easy to use and made me aware of how I spent time at work. I tend to concentrate and be ‘in the zone’ for about 2 hours straight, and then burn out by the end of the day. The app encouraged me to really stay focused for 25 minutes and then take a true break for 5 minutes. By the end of the day, I had a similar level of energy that I had earlier in the day. It was mind blowing. When our team started to think about new apps that we could build for our ACT Magoosh students, a Pomodoro-style app became one of our favorite ideas. We built the idea into a prototype as a very basic countdown timer and called the feature “Study mode”. Students liked it, but wanted something more visual. So we found a design for a circular timer UI that is as mesmerizing as it is effective. 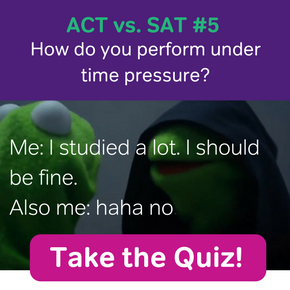 We also decided that 25-minute increments were fine for one-off study sessions or staying focused at work, but studying for a standardized exam is different. Students need to stay focused for the full duration of the exam-section. So, we designed the timer to countdown from the time that you would get on that exam section, much like a mobile exam proctor. We also decided that this app would be useful for all of our students, not just high school students. GRE, GMAT, MCAT, TOEFL, LSAT and IELTS students all also want to stay focused and on-pace during their practice sessions. So, we created timers for all of the exams that we currently support. 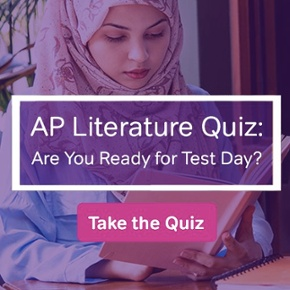 When you first open the app, we ask what tests you are interested in studying for, and then we display those exam options on your home page. We also included a “General Study” option, which is the traditional 25-minute Pomodoro style increment, for when you want to read or study outside of a practice session. It is also great for staying focused on work beyond studying for your standardized exam! In true Pomodoro style, we also included a prompt for a 5 minute break after each study session. Research shows that taking breaks helps you stay fresh and focused for longer. We don’t want students to burn out as they study. Studying should be a marathon, not a sprint, and so we are happy to support this best practice of taking breaks through the app. Finally, I realized that just timing an exam section only addresses the first part of time management: staying focused on studying for a set amount of time. It doesn’t help students stay on-pace. This is one of the biggest challenges for students. Often, while studying, students will leisurely answer questions, and then when they get into the test center, they become very stressed by how quickly they need to move in order to finish the section. To address this challenge, we added a question counter in addition to the timer. As the timer counts down, the questions count up, giving the student exactly the amount of time per-question that is allotted. Of course, you can take a little more time on one question and a little less on another, but the question counter gives you a general sense of if you are on-pace, or not. We are excited to share this app with our students and get their feedback. We already have a few “advanced” features that we’d like to include in a future iteration, and are looking forward to hearing how else we could improve the app to make it even better for our students.